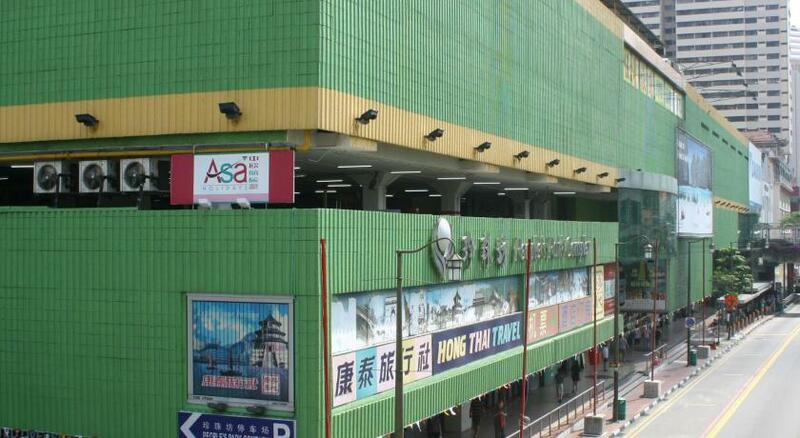 Location is very good, near the mrt and has a lot of shops. Locations is great. That's about the only plus of this place. 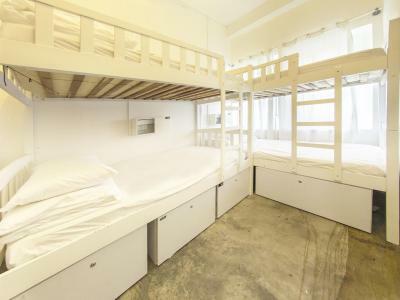 This hostel is good.the location near Mrt Chinitown, the room is clean all the time. 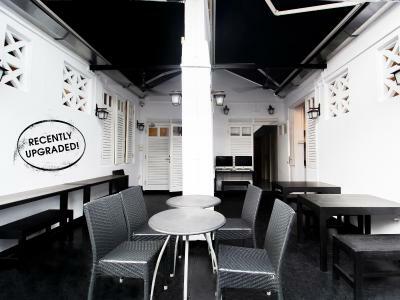 The Location was excellent.Located 2 min away from Chinatown MRT Station. 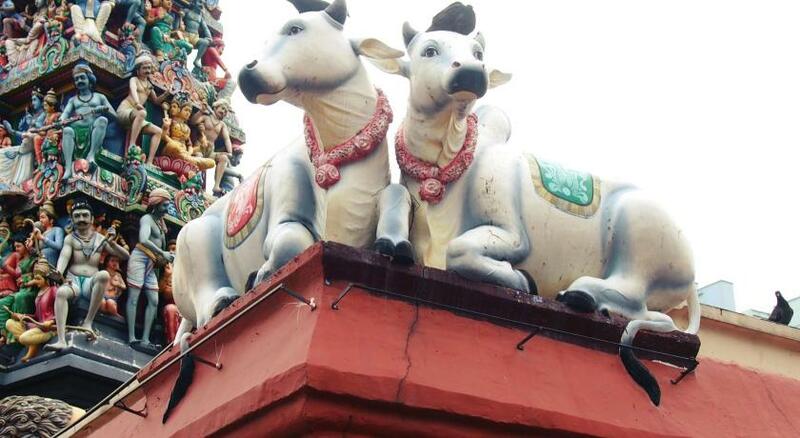 The location is great which is just few steps from Chinatown MRT Station. SO MUCH ACCESSIBLE TO MRT SUBWAY. CHEAP ACCOMMODATION. NICE PLACE TO SLEEP ESPECIALLY WHEN YOU HAVE ROOMMATES WHO ARE TIDY. i heard when you're a male occupant you prolly be in a bad odor room. lols. But the thing is, you can request for a room change for free by just asking their facility staff. they are accommodating :) i didn't like anything at all. it was a fine hostel. 5footway.inn Project Chinatown 1 This rating is a reflection of how the property compares to the industry standard when it comes to price, facilities and services available. It's based on a self-evaluation by the property. Use this rating to help choose your stay! 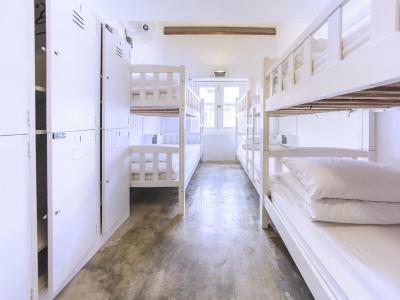 Just a 5-minute walk from Chinatown MRT Station, 5footway.inn Project Chinatown 1 hostel features a blend of contemporary-style and colonial-influenced dormitory rooms with free WiFi. The property offers free hot beverages all day at the communal dining area. 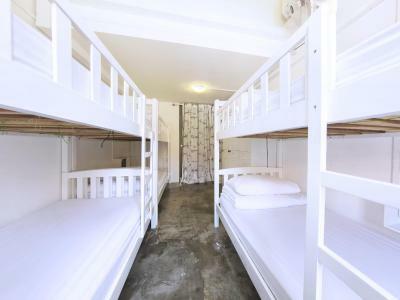 The all-white air-conditioned dormitory rooms feature bunk beds with anti-dust mite mattresses. Individual lights, electrical sockets and personal lockers are provided for guests. Guests have access to a shared toilet and bathroom with free toiletries and hot/cold shower facilities. A female-only bathroom is available. 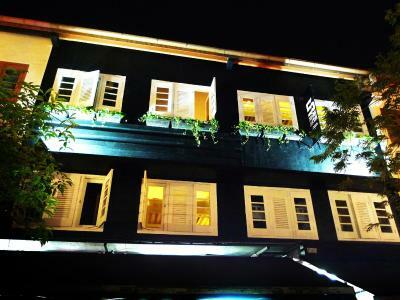 The hostel has an outdoor terrace and a cozy lounge where guests can relax on the sofa and watch TV or enjoy complimentary use of the iMac computer available. Self-service laundry services are available at an extra charge. Tickets to local tourist attractions can be purchased from the front desk staff at discounted prices. 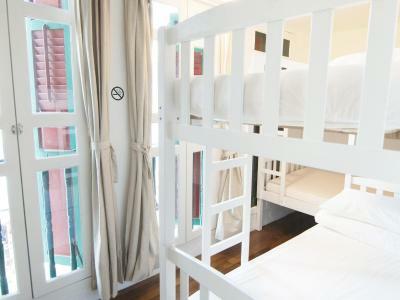 Located within walking distance to Clarke Quay and Boat Quay, 5footway.inn Project Chinatown 1 is a 10-minute walk from Clarke Quay MRT Station and a 10-minute drive from the shopping area of Orchard Road. Changi International Airport is a 25-minute drive away. 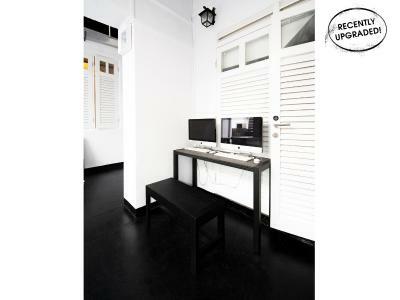 뀐 Located in the real heart of Singapore, this property has an excellent location score of 8.8! When would you like to stay at 5footway.inn Project Chinatown 1? 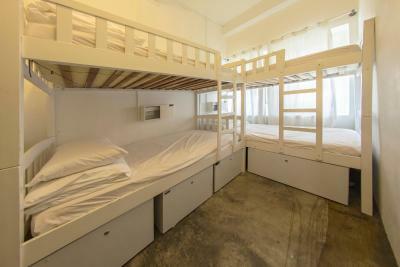 Air-conditioned mixed dormitory room can accommodate up to 4 guests. Rate is for 1 guest. Each sleeping space has anti-mite mattresses, private reading lights, electrical sockets and personal lockers. Bathroom and toilet facilities are shared, and come with hot/cold shower facilities and toiletries. Please note that this room does not have windows and is not gender-specific. 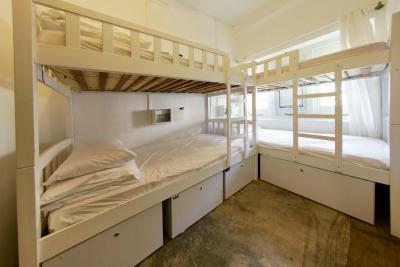 Air-conditioned mixed dormitory room can accommodate up to 6 guests. Rate is for 1 guest. Each sleeping space has anti-mite mattresses, private reading lights, electrical sockets and personal lockers. Some of the rooms do not have windows. Rooms with windows are subject to availability. 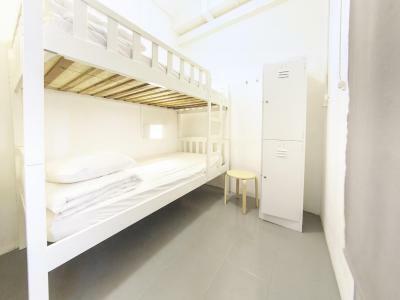 Air-conditioned female dormitory room can accommodate up to 6 guests. Rate is for 1 guest. 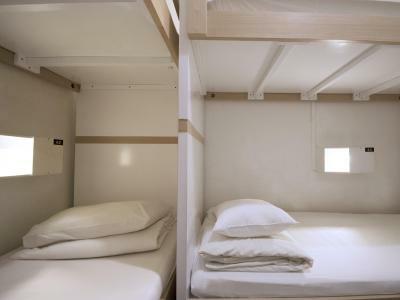 Each sleeping space has anti-mite mattresses, private reading lights, electrical sockets and personal lockers. 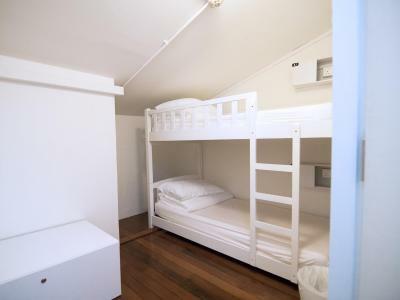 This modern, air-conditioned private room features bunk beds for 2, clean linen and anti-dust mite mattresses. Bathroom and toilet facilities are shared, and come with hot/cold shower facilities and toiletries. Please note that this room does not have windows. 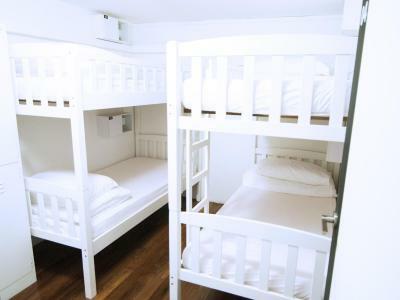 This modern, air-conditioned private room features bunk beds for 4, clean linen and anti-dust mite mattresses. It has a private bathroom with hot/cold shower facilities and toiletries. 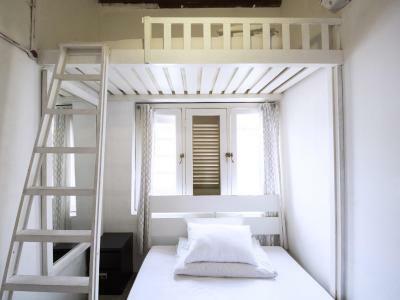 This modern, air-conditioned private room features bunk beds for 4, clean linen and anti-dust mite mattresses. Bathroom and toilet facilities are shared, and come with hot/cold shower facilities and toiletries. Please note that this room is not gender-specific. 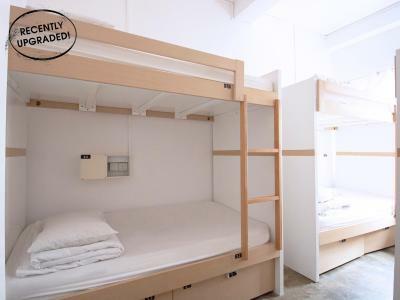 Air-conditioned room for 1 guest has an anti-mite mattress, a private reading light, electrical sockets and a personal locker. Bathroom and toilet facilities are shared, and come with hot/cold shower facilities and toiletries. 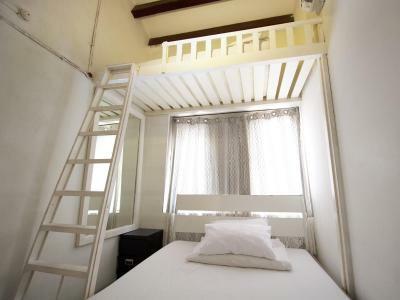 This modern, air-conditioned room features good-quality, anti-dust mite mattresses and freshly laundered beddings. Bathroom and toilet facilities are shared, and come with hot/cold shower facilities and toiletries. 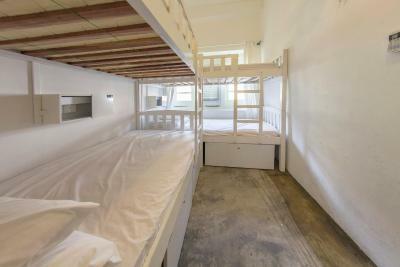 An air-conditioned dormitory room for 4 guests. 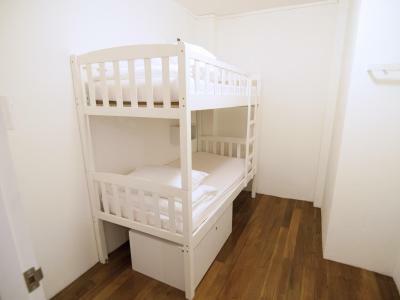 It is equipped with good-quality anti-mite mattresses, private reading lights, electrical sockets and personal lockers. Bathroom and toilet facilities are shared, and come with hot/cold shower facilities and toiletries. Rate is for 1 guest only. 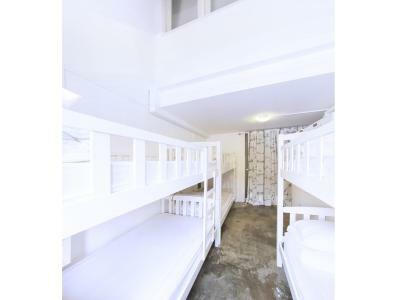 An air-conditioned female dormitory for 2 guests. 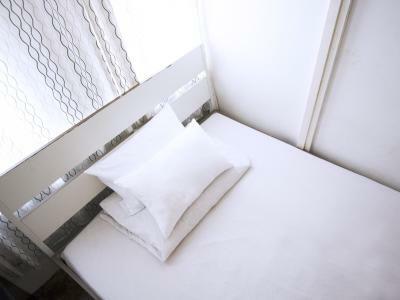 It is equipped with good-quality anti-mite mattresses, private reading lights, electrical sockets and personal lockers. Bathroom and toilet facilities are shared, and come with hot/cold shower facilities and toiletries. Please note that rooms do not come with windows. Area Info – This neighborhood is a great choice for travelers interested in culturally diverse food, city trips and food – Check location Great location - show map Guests loved walking around the neighborhood! House Rules 5footway.inn Project Chinatown 1 takes special requests – add in the next step! 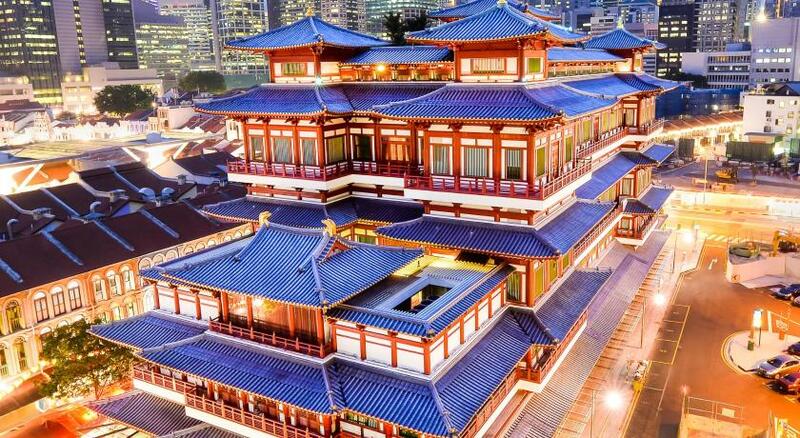 A SGD10 damage deposit is required on arrival (around USD7.38). This deposit will be fully refunded at check-out, as long as there isn't any damage to the property. 5footway.inn Project Chinatown 1 accepts these cards and reserves the right to temporarily hold an amount prior to arrival. A damage deposit of SGD 10 is required on arrival. That's about 7.38USD. This will be collected by credit card. You should be reimbursed on check-out. Your deposit will be refunded in full by credit card, subject to an inspection of the property. The staffs are so nice. Upon checking in I didn't realised it was self check in. A bit of a confusion when there's no one there to attend to your questions. Then we saw the phone to call for assistance. I don't like the bed, the bathroom and it's not very clean. Did not mention that no lift to go up. I climbed 3 floors plus attic room another steps carrying my 30Kg luggages. No check in counter but use machine and direction was not clear on how to use the machine. My phone cant mke outgoing call and inatruction to call upon check in is just absurd. Guest is paying for the service not to call the property in checkin. Washing machine is chargeable however no one is there to asisst. Shower room is hot and humid. Once come out from shower, sweating again because shower room is outside. Check in at 3pm is too late. Want to have a easy sit is not possible as the only chair available is bench which is under the sun and single seater in open air terrace which is so not convenient especially it is tropical country. Bed is comfortable and room is clean. Location is perfect. Just right at the MRT exit. Makes everything easy. I think it was too expensive for a solo traveler. The room was very small, 2 m2 and without windows. The location is excellent, very close to the metro station and shops. The breakfast could be improved with real butter , more variety of spreads would be more appetising.. not demanding for Ritz Carlton level here but it was quite sad..also would prefer less use of disposable plastic cups n bags, I think the travellers would be disciplined to wash the cups after use.. would appreciate more environmental awareness.. Convenience of checking in, great cleanliness, the compartments of rooms to allow fewer beds per room is great for a comfortable sleep. Great location too.